His Holiness Patriarch Irinej, 44th successor of Saint Sava on the primatial Throne of the Serbian Orthodox Church, has arrived in New York on 14 July 2017 en route to Chicago, where he will lead celebrations this weekend for the canonization of Saint Mardarije of Libertyville and All-America. 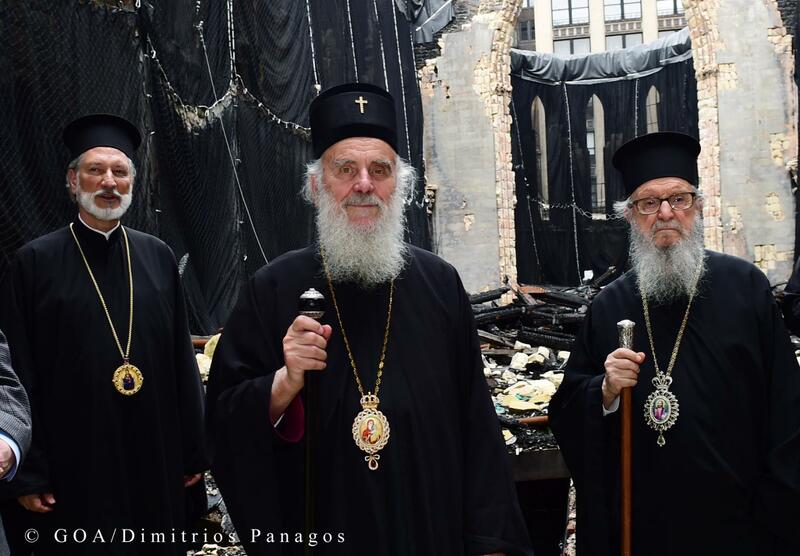 His Holiness Patriarch Irinej, head of the Serbian Orthodox Church, while on a stopover in New York on his way the canonization of St. Mardarije in Libertyville, visited the site of Saint Sava Cathedral which was devastated in a fire on Pascha last year. His Holiness urged all Serbian-Americans, as their ancestors before them throughout our Serbian lands, to support this reconstruction effort and to restore the Cathedral to its former glory. The Patriarch urged the immediate removal of the debris and enclosing of the structure as soon as possible. 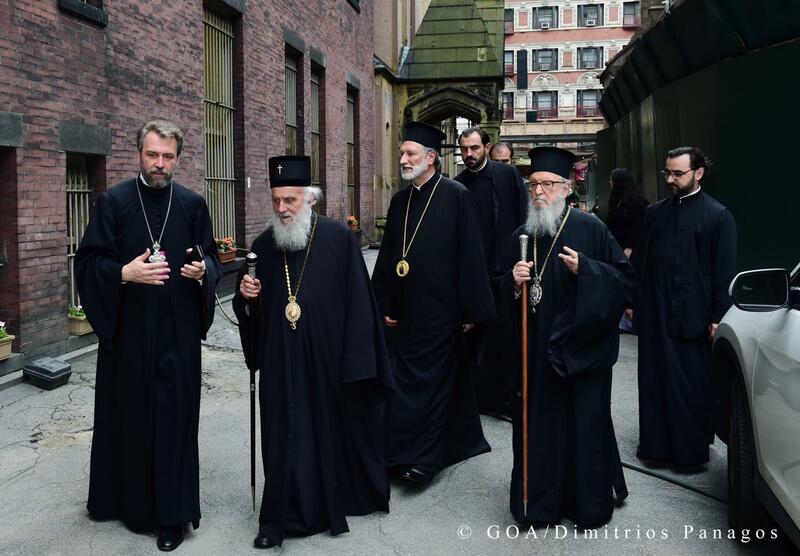 The Serbian Patriarch was met at the Cathedral site by His Eminence Archbishop Demetrios, head of the Greek Orthodox Archdiocese of America and Chairman of the Assembly of Canonical Orthodox Bishops of America. 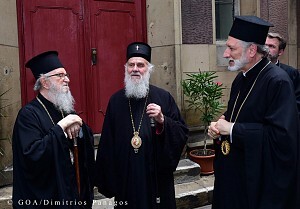 His Grace Bishop Irinej of Eastern America, the diocesan hierarch, accompanied the Patriarch and Archbishop, and briefed them on reconstruction plans during the visit. Consul General of Serbia, Mirjana Zivkovic, secured the appropriate diplomatic protocol for the visit and helped host His Holiness. Clergy and representatives of the local parish community were also present to greet the Patriarch.